These raids became more intense and demanded the attention of a high authority. Valentinian was very ill ay this time and in no fit state to tackle the problems. As well as the troubles in Britain, he had another pressing dilemma. He discovered his heir was in the process of being chosen in readiness for his death. He reacted to this by placing his son along with Valens as co-emperors. This was done even though his son was only eight years old. At this point we should take a look at the structure of the Romans rulers and the military to throw some light on events later. It was Roman policy to make the peoples of conquered lands into citizens of the Empire. These people could also join the Roman army and rise in rank to a very senior level. Many of the Germanic members of the military had achieved a high level of authority. The true loyalty of these officers had always been in doubt as it was clear from the raids carried out by the Germanic tribes showed evidence of knowledge of Roman army movements and strengths. Then a major problem arose. The tribal raids on Britain and Gaul from the channel intensified. There had been cases of tormenting by these savages, but now it had intensified to an unparalleled level The reason for the concern is that this was not an attack by one tribe, but an assault by a coalition of many races. The Dicalydonae and the Verturiones came onto the southern British coast. At the same time the Attacotti and the Scots joined forces from the north. The Franks and the Saxons landed in Gaul. Such a sudden and determined onslaught caught the Romans off guard. The planning behind this must have been considerable and demonstrated that these tribes were not plain savages, they had minds in charge who were very intelligent tacticians. Considering the Roman spies had infiltrated the tribes outside the Empire and were gathering information, something had gone seriously wrong with the great Roman machine. The new Generals from outside, in particular the Germans, were treated with suspicion as they had the most to gain from siding with an outside force. Either money or promises of leadership in the tribes where their roots came from would have tempted many to betray their new found masters. Once ashore, the warriors separated into smaller groups and began the collection of valuable items and the destruction of property. Although there had been an excellent military mind behind the planning and execution, the base tribal ways soon emerged in the form of violence for no reason. Prisoners were rarely taken. Any native settlements they found would have been looted and their inhabitants killed. There was no stopping the invading force. Even walled cities fell under the ferocity of the attacks. One of the underlying factors behind their success was the defection of soldiers and officers from the Roman army. Many of these were non Roman soldiers taken into the ranks from conquered lands where Roman citizenship had been granted to the people. Valentinian was immersed in pressing problems in the east, so he sent Severus to attend to the situation For some reason he as replaced by Jovinus after a very short time. Flavius Theodosius was summarily dispatched along with four top notch units. The initial landing in north east Kent with a base established at Richborough. This had been the main base during the Claudian invasion of 43 AD. and already had a fortress protecting the coastal region. He then began moving north and east to London. As the invading force of savages had broken into small groups, they were no match for the Romans. Any spoils taken by the invaders were given back to their owners, with a small amount distributed amongst his own troops. The arrival of the Romans in London was seen by the citizens a liberation from their recent oppressors. He was treated like an emperor, holding a parade through the streets to announce his arrival. To pacify the Romans that had deserted, he proclaimed an amnesty for any troops who had deserted. 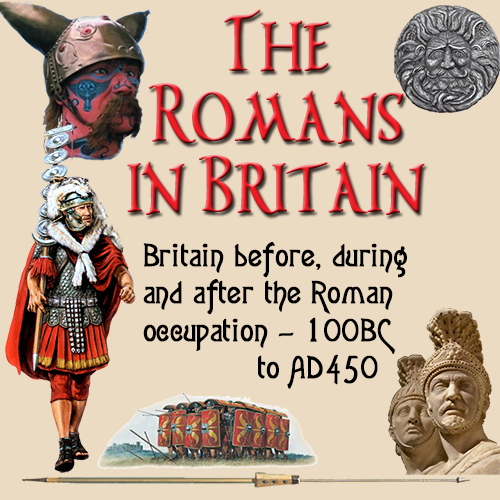 He declared his intention to restore the Roman army in Britain back to a full fighting force. His army continued into the heart of the country, sweeping aside any opposition they encountered. By 369, Theodosius had begun a program of restoration to repair the damage caused. This was a great victory in ore than one way. The planning, execution and rebuilding stages were all thought out and performed with typical Roman style. Theodosius appointed a new general, Dulcitius who had an excellent reputation and was well suited to the task. The first undertaking was to build a series of watchtowers on the coast from Filey to Huntcliff. The purpose of which was to set up an effective early warning system, should the foreign invaders try to take Britain again. The Romans had learnt their lesson. It was not only the Romans that had developed their skills. The tribes in Europe had managed to build relatively fast, large sea going vessels with which they had transported warriors across the North Sea. Much of the troubles that beset the Roman Empire during the latter part of the fourth century were largely of their own making. The Germanic influence was reflected in the designs of the Roman soldier ! "s uniform. There were embellishments on the bits and buckles that had distinct German origins. At the same time German motifs appeared that had definitely been taken from the Romans. The barbarian raids and the low standard of internal security caused a great loss of morale from the highest commanders to the infantry. Duties were not fulfilled, work was left unfinished, buildings needed extensive repairs. This lack of spirit was noted in Rome where the senate took the worst kind of action. Instead of finding the root cause of the problem and tackling it, they issued a series of directives and employed heavy handed tactics to enforce them. The governors were ordered to refurbish their residences throughout and to keep them in good order. What is more relevant is that they were ordered to stay within their own dwellings and not to spend time in the houses of the local landowners. It was the security risk and the way in which they would spend days away from official duties enjoying the pastimes of the countryside. This last order had a certain amount of logic. The local chiefs were tribe members who have contact with others no always in harmony with the Roman point of view. A few drinks can loosen the tongue and secrets divulged which could then be passed on. The penalty for this last transgression was not brought down on the Romans, but on their hosts by confiscating their land and property. It was at this time that something happened that would have a long lasting effect on the Roman Empire as a whole. The expansion of the Christian faith had spread across the world, until it was now in Britain. This religion was at odds with the Roman pagan beliefs and was going to cause a lot of disruption and changes to the Roman way of life. The followers of this religion had influenced the Roman rulers and had persuaded many of them to adopt Christian ways. Along with this came the death of Valentinian in 375. He was the last of the Emperors who had revived the Roman Empire to it ! "s former glory. Considering these two events together, the empire was set to decline to a state from which it would never recover. Valentinian ! "s sons, Gratian and Valentinian II were installed as co-emperors. Their first action was to remove Maximus who as mostly useless as governor of Britain, and replaced him with Ausonius. The appointments throughout the empire demonstrated the trend now to return power the aristocracy and bring them in closer contact with the imperial court. This also brought to the fore the effect of Christianity on the Roman world, by the appointment of those who were sympathetic to the cause. It was illegal to make sacrifices in any shape or form in public or private. No incense was to be burnt, lamps shown, or garlands hung. These were part of the old Roman tradition. Administrators who did not implement the laws effectively would face heavy fines. Households that kept non Christian artifacts were to have them and the property seized. These directives applied to the whole Roman Empire. Britain was again to go through a change. After the Roman paganism, the Christian belief came to prominence. Theodosius became preoccupied with matters in the east, so Britain came under the joint administration of three Romans. Arbogast, Virius Nicomachus Flavianus and Eugenius. While the latter was a committed Christian, the others embraced the old Roman pagan beliefs. Although Eugenius had the modern attitude, even he had to admit that a pagan revival was imminent and inevitable. Under the new regime temples were opened, and pagan celebrations were restored to the calendar. This did not last long and when Theodosius returned to Italy in 394, he restored the Christian attitude was again the dominant religion. He had to fight fierce battles against his own people to reestablish is authority and in the process all three rulers of Britain died in the struggle. Theodosius had reunited the Roman Empire under one ruler and revived the Christian religion. He worked hard to ensure his ideals were brought to fruition. In January 395 he died knowing his work had not been wasted. The Christian way of life had been firmly established and this time it was here to stay.